While doctors who experience UKAS assessments are becoming increasingly cynical about them, few have yet called out accreditation and stopped it. 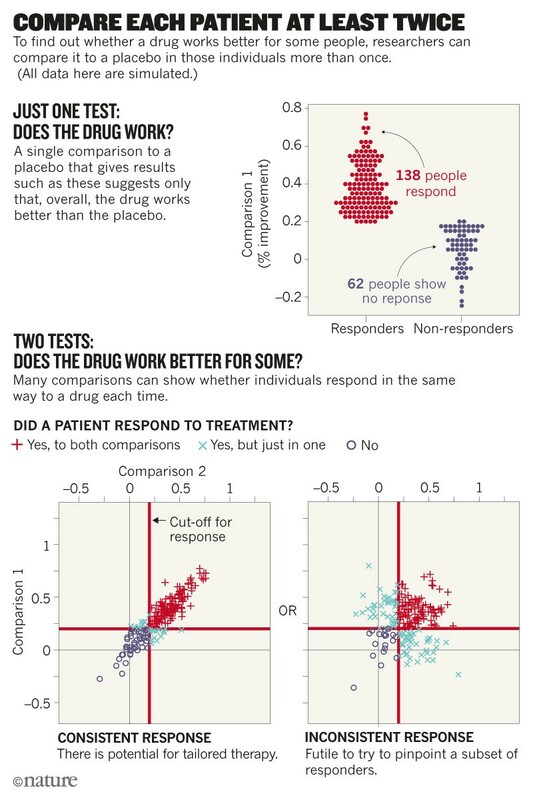 Statistical pitfalls of personalized medicine. 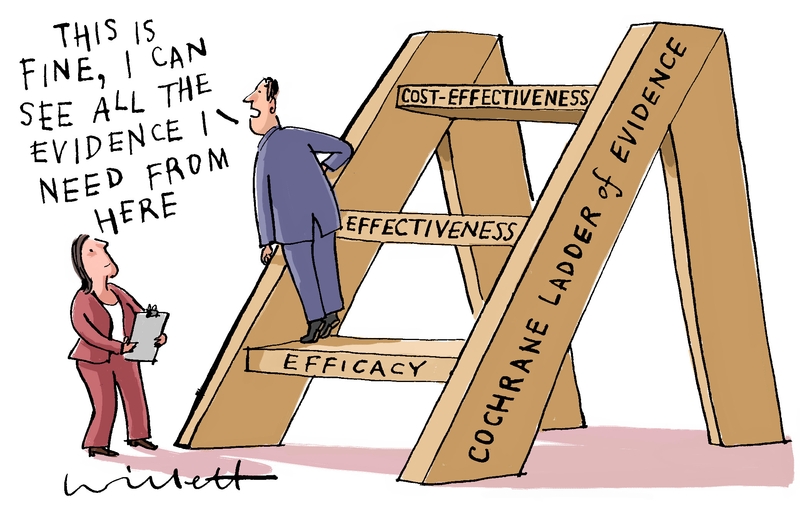 Misleading terminology and arbitrary divisions stymie drug trials and can give false hope about the potential of tailoring drugs to individuals, warns Stephen Senn. explains why expectations should be lowered for personalized medicine. If you’ve waited weeks for a GP appointment you may already be questioning the potential of personalized medicine. Is it just a wheeze to boost academic careers? How often will it make a difference for ordinary patients? Hardly any work has been done to investigate how the imposition of ISO 15189 on pathology labs has improved patients’ lives. Is the “quality” achieving faster or more certain diagnoses? Is it curing more patients or reducing suffering? Why is nobody measuring this when so much effort and money is being poured into supporting the inspectorate that cannot prove its worth? To think about it, replace “patient” in Senn’s diagram with “lab” and “drug” with “accreditation”. Why are no evaluations available for the effect of accreditation on laboratory improvements? Why do labs have to do endless measurements of limited value while there is no similarly demanding measurement of inter-assessor variation? Why are assessment between assessment bodies kept secret? Labs need to know if they’ve paying money to a body that’s got lots of non-compliances – because they’re precluded from choosing one from a different country. Read Senn’s article to see why it is so difficult to reach firm conclusions about the effects of treatments. Many clinical studies get it wrong. For ISO accreditation, no studies get done. It would be challenging to test accreditation meaningfully. Yet still the confidence trick remains widely-accepted. Chris Paris is correct to relate it to Multi-Level Marketing rackets like Amway. Maybe one day the inspection cartel will suffer a similar judgemt to Amway. This entry was posted in Laboratory medicine, Medicine, Questions and tagged Amway, ISO 15189, statistics, UKAS. Bookmark the permalink.